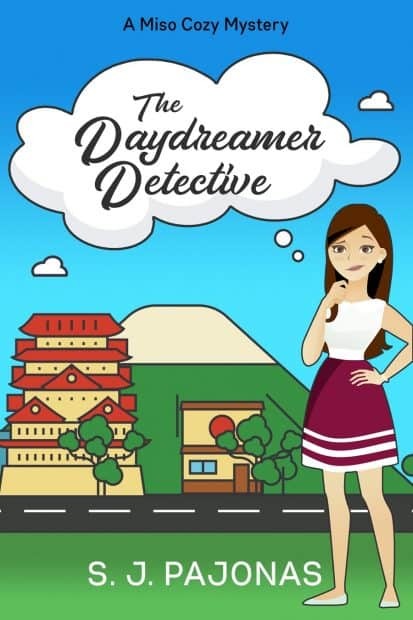 It’s a cozy mystery in Japan! 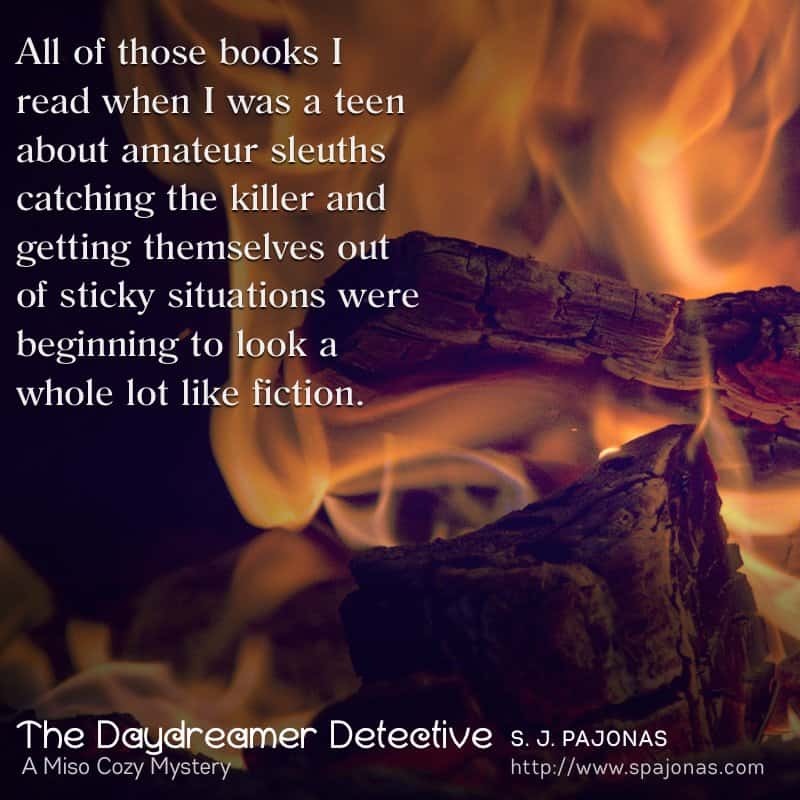 The Daydreamer Detective is the savory starter to the Miso Cozy series of cozy mystery novels. 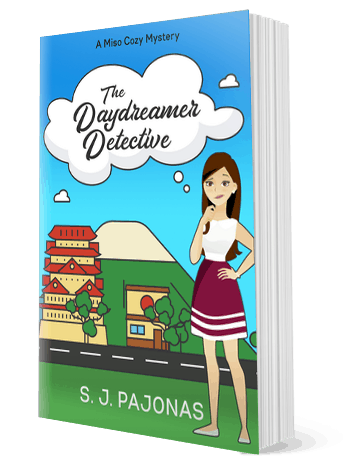 If you like twisty plots, delectable food descriptions, and rural Japanese towns, then you’ll love S. J. Pajonas’ culinary tale. Because I was not coming here and eating alone while everyone around me ate together. I was willing to do that once in a while, with a book, but not every day. I’d rather I ate at home with Mom. I nodded slowly, resigned. What had I gotten myself into? I’d challenged a chef with a prestigious resume, a student of my mother’s, and the town’s newest darling. I should never have opened my mouth. I was close to making a complete fool of myself, and I regretted it to my bones. Yasahiro paused for a moment as I took a sip of water. “It’s not a bother,” he interrupted, and this time, he stammered and seemed eager to keep me there. Hmmm. Interesting. The daydream of Yasahiro wandering the streets of Paris popped into my head again, and I stopped to add more details to it: the tiny scar through his right eyebrow, the shape of his ears, his white teeth (he must go to a private dentist). The daydream shifted and I imagined him at the dentist’s office, in the chair. No! Back to Paris. Yes, that was better.